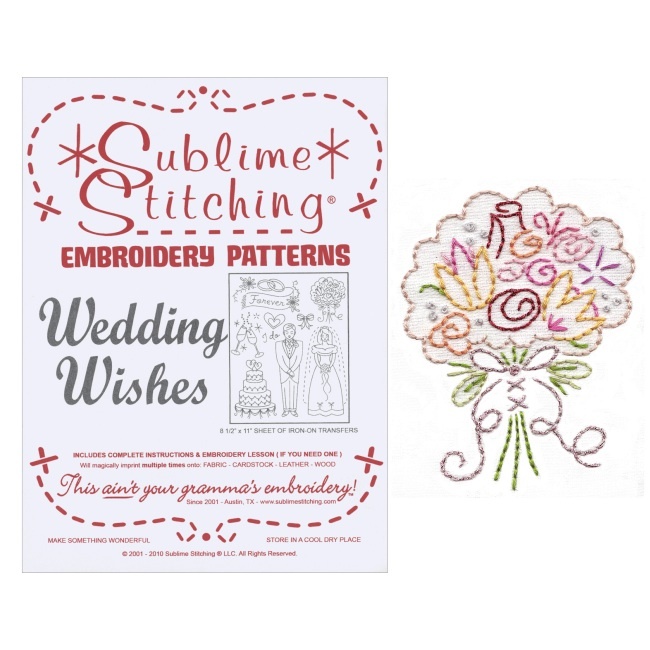 The Wedding Wishes Iron-On Embroidery Pattern Pack includes one 8-1/2 x 11" sheet of multi-imprinting, iron-on embroidery patterns. No charts or counting required - simply iron these patterns on any fabric and stitch along the lines. Instructions for beginners included! A pattern pack is included when you purchase the Ultimate Embroidery Kit or the La Petite Embroidery Kit. It's never been easier to learn how to hand embroider! • 8-1/2" x 11" sheet of multi-imprinting, iron-on embroidery patterns. • Just iron on to any fabric & stitch along the lines. • Complete instructions for use & an introductory stitch lesson.